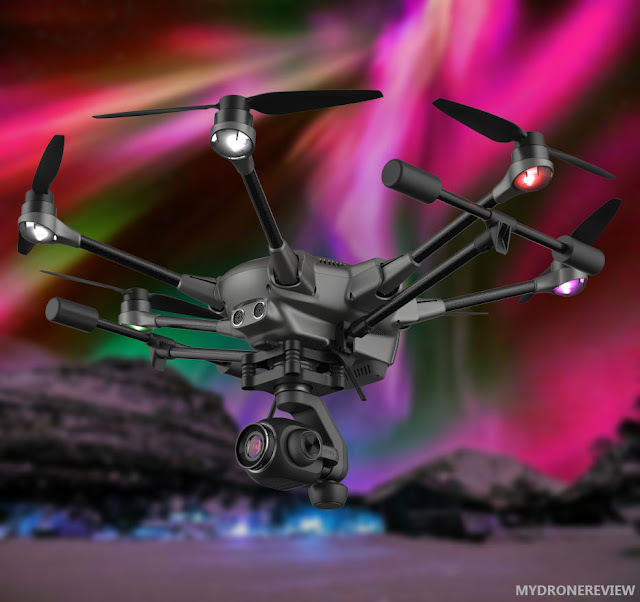 At the Consumer Electronics Show (CES) in Las Vegas Yuneec introduced three new drones . The first one, and possibly the most important one, is the Typhoon H Plus, a successor to the Typhoon H that was launched in 2016. Besides the Typhoon H Plus, Yuneec also launched a fixed-wing drone, named the Yuneec Fixed Wing Firebird FPV. Lastly, they also introduced a new budget-friendly HD racer, a first for Yuneec. The Typhoon H Plus is the second version of the unmanned aerial vehicle aimed at professional photographers and videographers. The Typhoons camera consists of a one-inch 20-megapixel sensor and a “large-aperture” lens. The camera shoots 4K video @ 60 fps. Yuneec also claims that low-light performance has been improved. The Yuneec Typhoon H Plus has a larger six-rotor hex airframe. The rotors produce 40% less noise, according to Yuneec and can fly in winds up to 30mph in a stable fashion. The typhoon H Plus features obstacle avoidance and uses Intel RealSense technology for this purpose. The Android-based controller has a 7-inch 720p display. The flight time of the device would be up to 28 minutes on a battery charge. The intelligent flight modes available to the device are Orbit me, Point of Interest, Journey Mode, Follow me, Curve Cable Cam and Return Home. Return Home: Simply switch to Home Mode and the Typhoon H Plus will return and land within 8 m of you. Curve Cable Cam: Easily program an invisible route for H Plus to fly along. The hexacopter will fly between pre-set coordinates while independently controlling camera position. Follow Me / Watch Me: Follow Me ensures Typhoon H Plus moves along with you. Watch Me tells the H Plus to follow you while always pointing the camera at you wherever you go. 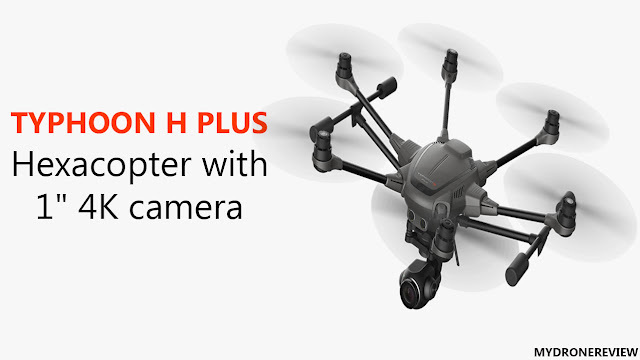 Journey: Typhoon H Plus will automatically go up and out, as far as 90 m, and capture the perfect aerial selfie. Orbit Me: The Typhoon H flies a circular path around you, keeping the camera trained on you the whole time. & Thanks to 3D and depth-sensing technology, the RealSense™ system detects objects, movements and distances, allowing the drone to operate independently and effortlessly avoid obstacles in its surrounding. Obstacles and a safe flight route will be saved for the next time. The Typhoon H Plus will be out in the first half of 2018 for $1,799.99, the same price as its predecessor.